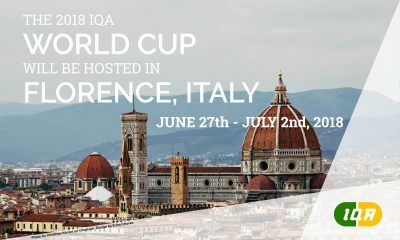 The Dutch National Quidditch Team is going to the World Cup 2018 in Florence, Italy, and it needs your help! We are looking for highly motivated players to form a practice squad, from which the final roster will be chosen to compete for The Netherlands at the World Cup. Besides the practices with your local team, there will be 6-8 national practices up until July, including some friendlies against other teams. Everyone who is interested in playing for the Dutchmen this year is required to complete the attached form. This includes the players from last year who want to remain active in the team. The coaching staff will scout and evaluate anyone interested not only at general Dutch quidditch events, but also at two specific try-out days. The first try-out day will be on December 10th in Utrecht and the second try-out day will be at the end of January or start of February. The deadline for applications is November 30th, 2017 and you have to fill in the attached form in order to be eligible for the try-out days.